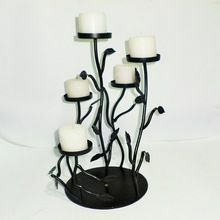 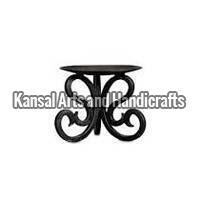 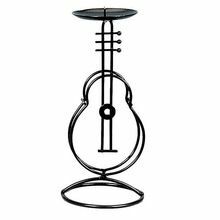 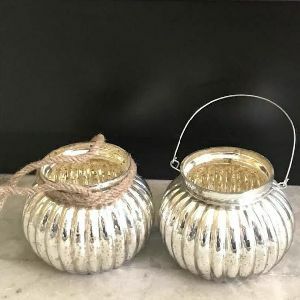 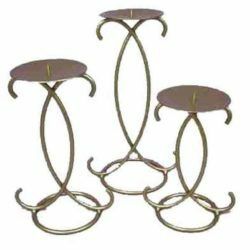 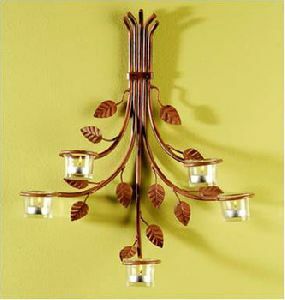 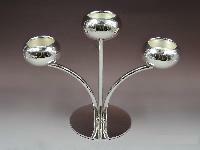 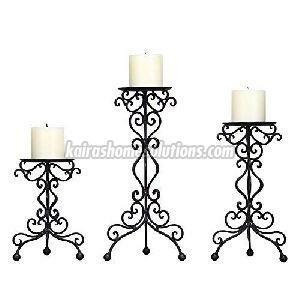 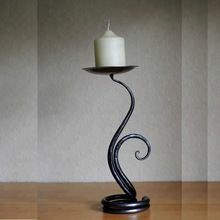 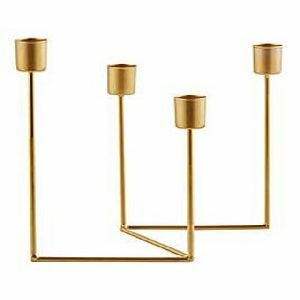 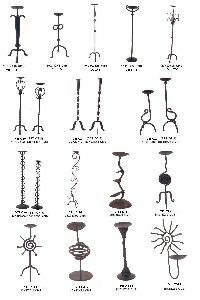 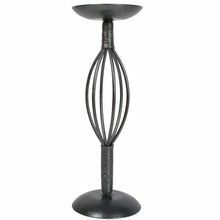 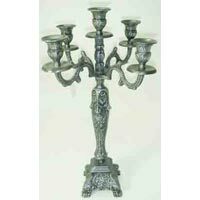 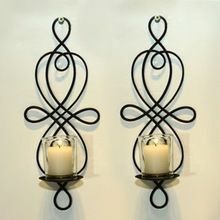 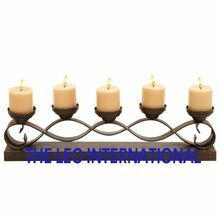 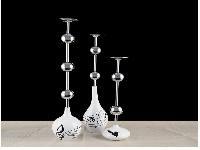 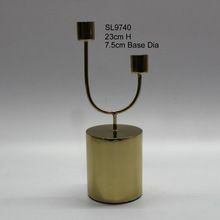 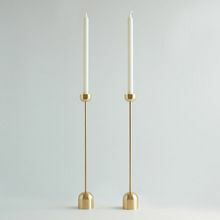 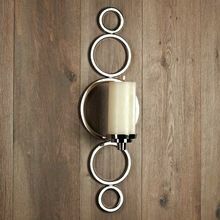 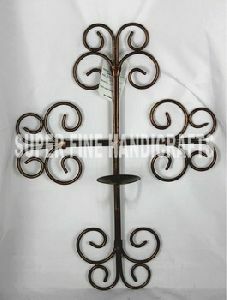 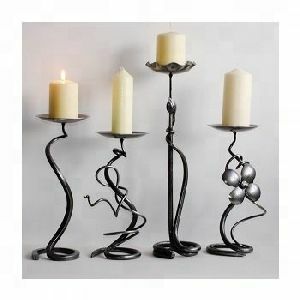 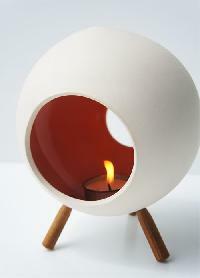 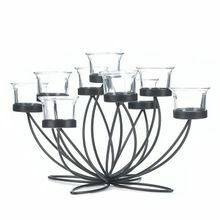 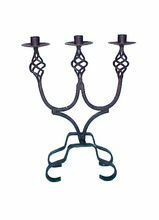 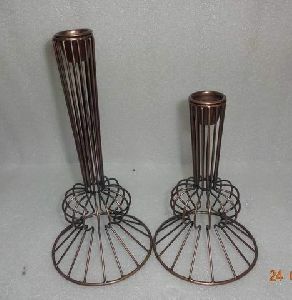 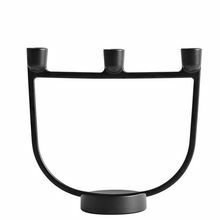 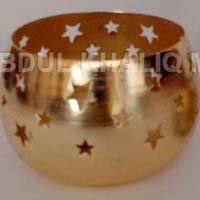 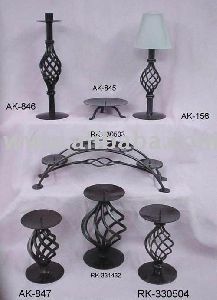 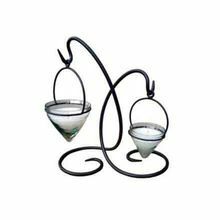 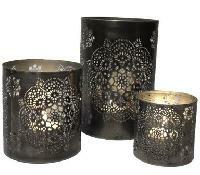 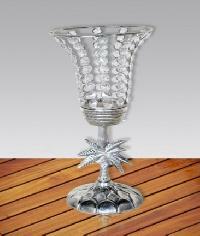 We offer Iron Candle Holder. 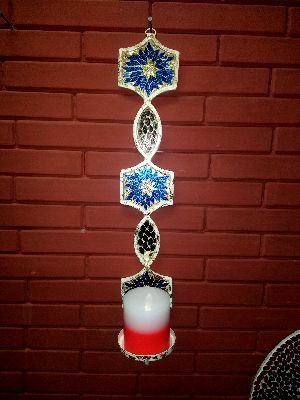 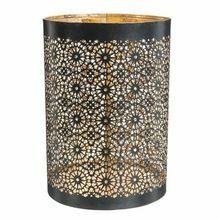 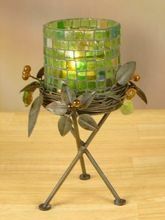 Iron pillar candle holder with mosaic work on the top. 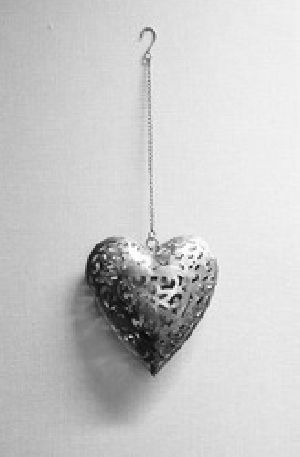 Hang it on the wall.